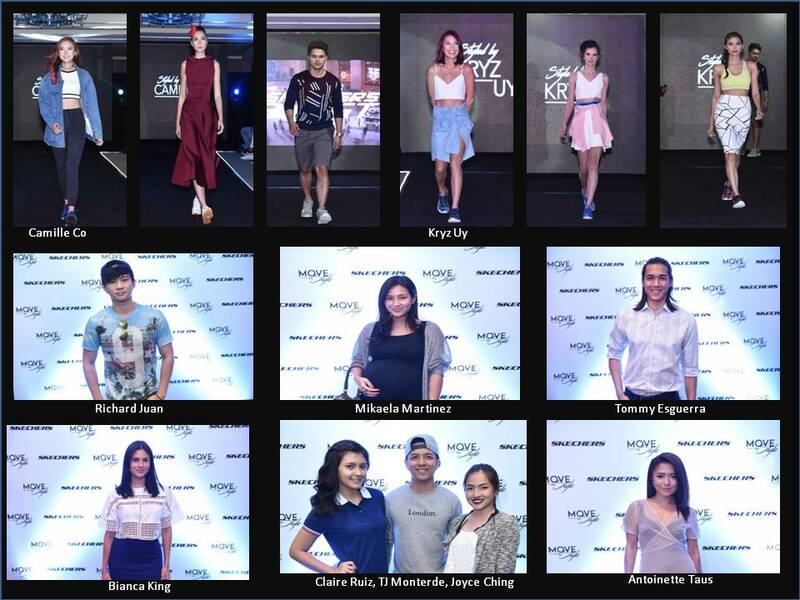 The Skechers Move in Style event was concluded successfully last April 28 at Aruga by Rockwell in Makati. All models fashionably walked the runway dressed to impress by two popular fashion bloggers in the country, Camille Co and Kryz Uy. Other celebrities who graced the event included Tommy Esguerra, Mikaela Martinez, Joyce Ching, Bianca King, Antoinette Taus, Richard Juan, TJ Monterde, Devon Seron, and Claire Ruiz. ABSCBN Publishing CEO Ernie Lopez, models Almira Teng and Tola Orendain, and other fashion/style bloggers Vina Guerrero, Chin Chin Obcena, Joana Carrasco, Angela Nepomuceno, Cha Ocampo, Aisa Ipac, King Tongol and more were also spotted. The Skechers Squad was also presented which include new members Sachzna Laparan, Kyle Vergara, Chelsea Robato, and Christian Busby. Other than Skechers shoes, apparel from major brands such as Zalora, Uniqlo, Mae-Ann Veloso, Gypsy Soul, Arin, Pablo Cabahug, Pat Santos, Lian Martin, Crisp Studio, Lamujerph, and Chino Hernandez were also sported. Move in Style opened with a bang when the World Hiphop Dance Champion, A-Team dance crew showcased their style with beats from DJ Badkiss. From top right: SKECHERS GO Flex Walk in Navy/Coral; SKECHERS Originals OG 85 – Hollywood Rose in Purple Pink and Men’s SKECHERS Originals OG 85 in Natural Blue. The GO Flex Walk comes with a knitted upper section with articulated and segmented flexible sole design for athletic walking. It is also manufactured using Skechers Performance technology and materials. The Skechers Originals on the other hand looks vintage in style but with modernized comfort through the Air-Cooled Memory Foam insole. It comes in either soft suede or printed uppers in a variety of colors. The next set of shoe line, Burst, also for men and women were presented by models styled by Kryz Uy. “We also really love how Skechers offers a variety of styles. 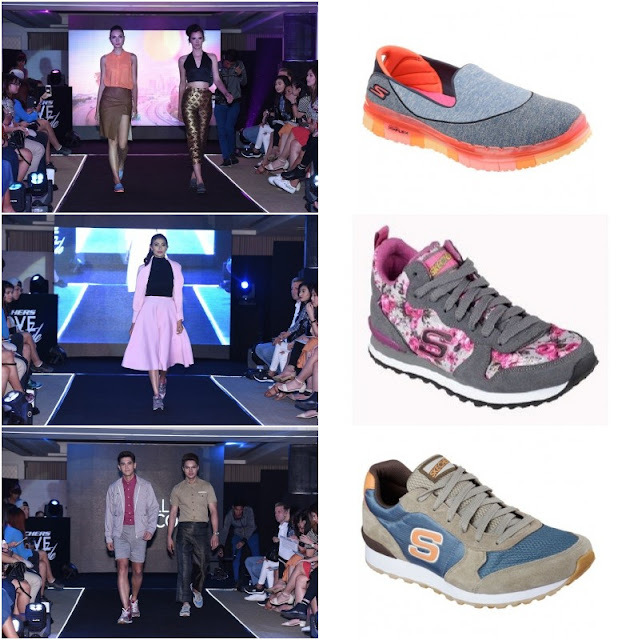 With Skechers, you have the option to play around and express yourself.” Uy said. 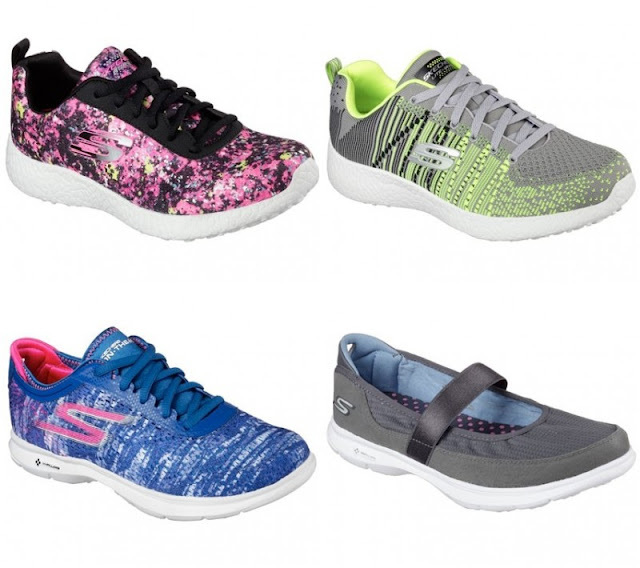 From top left: Women’s SKECHERS Burst – Illuminations in Black/Multi and Men’s SKECHERS Burst - Mix shoe in Lime Gray. Bottom from left: SKECHERS GO Step in Blue/Pink and SKECHERS GO Step Original (maryjane) in Charcoal. The Burst shoe is an athletic designed yet comfortable fashion sneaker with Air-Cooled Memory Foam insole and a responsive cushion sole. The GO Step on the other hand is innovative and stylish in a modern slim and sleek look. The event with stylists, Co and Uy taking their final walk along with the Skechers ramp model team. Skechers Burst, GO Step, Go Flex Walk, and Originals are available at various Skechers stores including Glorietta 2, TriNoma, SM North EDSA -The Annex, SM Mall of Asia, Robinsons Place Manila, Robinsons Galleria, Gateway Mall, Market! Market!, Lucky Chinatown, Alabang Town Center, SM Southmall, Festival Mall, SM Bacoor, SM Dasmariñas, Paseo Sta. Rosa, SM Fairview, Fairview Terraces, SM Clark, Marquee Mall, SM Pampanga, SM Ilo-ilo, Ayala Center Cebu, SM City Cebu, SM Seaside Cebu, SM Bacolod, SM Davao, Abreeza Mall, Gaisano Mall Davao, LimKetKai Mall CDO, and Centrio Mall CDO. For more information about Skechers, visit www.facebook.com/SkechersPH or follow @SkechersPH on Twitter and Instagram.